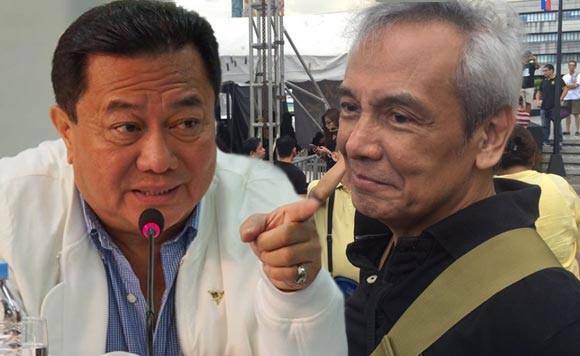 House Speaker Pantaleon Alvarez, in an interview with CNN Philippine with Pinky Webb, he expressed his disappointment to Jim Paredes. Speaker Alvarez slammed Paredes after confronting members of Duterte Youth who crashed the celebration of the People Power at EDSA. According to Speaker Alvarez, the Duterte Youth was free to show their support for President Rodrigo Duterte at the event held at the People Power monument. “We are a free country. Ngayon kung yung mga Youth na yan gusto nilang pumunta run to express also their sentiments,” Alvarez said. Last Saturday, Feb. 25, during the People Power Revolution at EDSA,Paredes confronting members of Duterte Youth about their presence in the area.